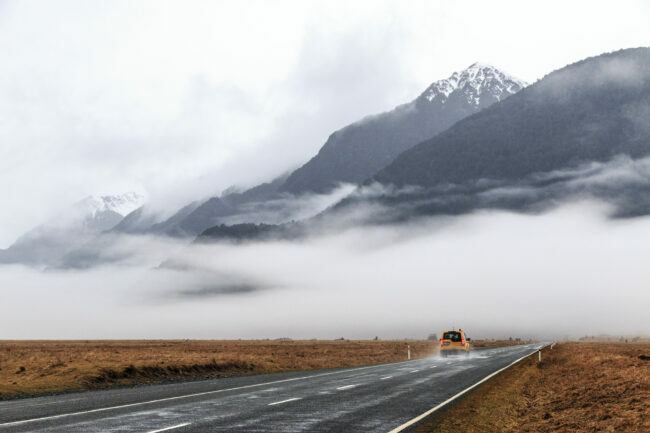 Directions: Road that goes from Te Anau to Milford Sound. The name of the road is Te Anau Milford Hwy. Beware: There is a portion of the road in which you CANNOT stop (it’s very indicated) as it’s very avalanche prone. This photo was obviously not taken in that area. It was taken on a long strip of road where it was relatively easy to stop the camper van. My recommendations: It is said that Milford Sound is one of the wettest areas of the world and that it rains 9 out of 10 days (we were told this by our guide on the ship) so be prepared. Also, there are no gas stations that I know of between Te Anau and Milford Sound, just a little one at Milford.